You design it. We make lots of it. So it's there when you need it. Your singular resource for bulk orders of made-to-specification antibody cocktails* — from experts in flow cytometry. 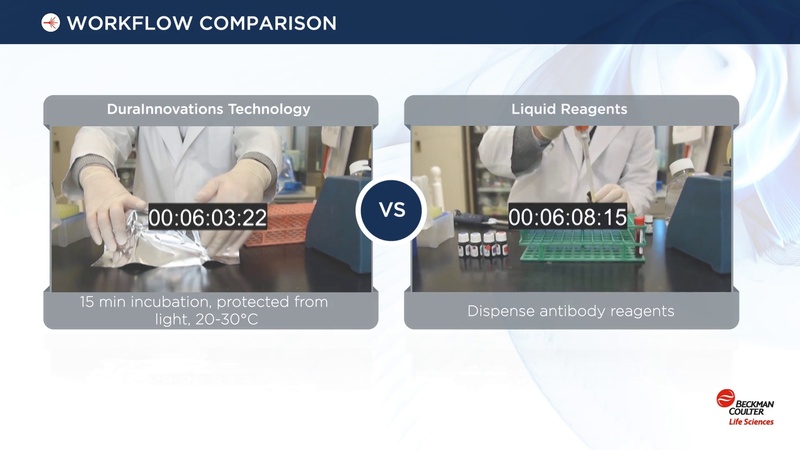 Why choose Beckman Coulter Life Sciences as a trusted resource for bulk antibody cocktails? You can save time by simplifying inventory management and streamlining your workflows. Use this calculator to quickly estimate approximately how much you might save. You can optimize QC by minimizing the potential for errors/variability. Your order will include a complimentary evaluation lot for you to validate and approve. Your cocktails will be manufactured following GMP** in ISO 9001-compliant facilities. Why waste precious internal resources when you have a reliable resource partner for bulk production of the antibody cocktails you need? Discover how CMS Contract Manufacturing Services** can help optimize your lab’s productivity.